Participants who took efavirenz were eleven times more likely to switch up their drug regimen. Rilpivirine may prove to be a more tolerable, durable and less toxic alternative to efavirenz, according to a new investigation. Italian investigators from recently published the report in the journal HIV Medicine. Although both drugs demonstrated similar efficacy, people living with HIV were more likely to adhere daily to rilpivirine than efavirenz because of toxicity or intolerance. In total, 1490 people were observed, 704 of whom began treatment on a first-line regimen with efavirenz and 786 with rilpivirine. Efavirenz and rilpivirine were both used in the traditional combination with emtricitabine/tenofovir. About a third of participants taking efavirenz immediately started on Atripla, and the others switched to Atripla within six months of treatment. Almost all, 99.2 percent, of the people receiving rilpivirine began therapy with Odefsey. 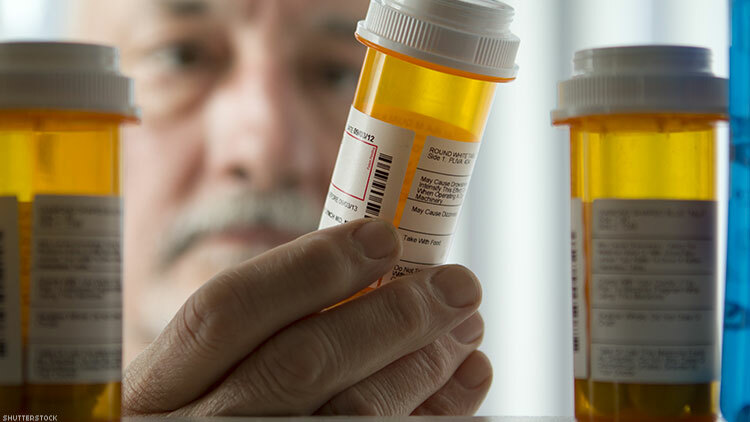 There were 343 participants who discontinued their three-drug regimens. Slightly less than a quarter of participants who started efavirenz discontinued their regimen within two years, compared to 10 percent of those who began on rilpivirine. Intolerance was cited as the top reason for discontinuing the drugs, followed by toxicity. Finally, virological failure was reported in only two percent of the participants who began on both efavirenz and rilpivirine. Notably, participants who began on efavirenz were nearly eleven times more likely to have a major treatment change during the first two years of therapy than people starting rilpivirine. Efavirenz is often sold either as part of the three-drug regimen Atripla, or as itself under the brand name Sustiva. Both rilpivirine and efavirenz are classified as non-nucleoside reverse transcriptase inhibitors, but patients report very different side effects. Some people — such as those who are predisposed to have psychological problems — are not advised to take the efavirenz route, and for good reason. After personally taking efavirenz for about two years, as one of Atripla’s ingredients, I switched to another combination drug with less side effects. I had enough of confusing thoughts and elaborate hallucinations in the middle of the night, that stir up profound emotions that would last for days. I switched to Stribild, a similar combination drug that didn’t include efavirenz and that didn’t cause any hallucinations or mood swings. I also stopped having night sweats and it felt less dizzy and narcotic. Daytime or nighttime hallucinations have been reported with efavirenz. Sometimes the side effects have been reported as intense, lucid dreaming or nightmares that are difficult to distinguish from reality. With a half-life of 40-55 hours, these have been reported to occur with varying frequency, sometimes every three days. “The HIV antiretroviral drug efavirenz has LSD-like properties,” investigators determined in 2013. Some people, however, don’t report experiencing any of the above mentioned side effects from efavirenz. For obvious reasons, many people living with HIV — like myself — seek out drugs with a lower risk of psychological side effects. But a drug’s effectiveness is even more importantly than managing fewer side effects.That’s why the team of researchers set out to distinguish the two drugs in terms of tolerability. Finding a drug regimen that you can religiously adhere to is one of the most critical steps that people with HIV can do to continue on their path to better health. These findings suggest the level of tolerability that both drugs may present. That said, only a specialist doctor can say which drug is better for the treatment route in any individual case.